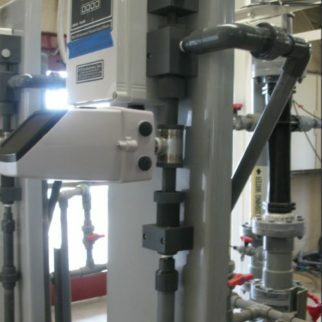 Metering Pumps | JCI Industries Inc.
JCS Industries Hypochlorite Liquid Dosing System he system is comprised of an automatic vacuum injector to safely introduce the liquid into the feed-water stream for operations that require high efficiency, accuracy, control and safety. The system will feed numerous aqueous chemicals commonly used in municipal and industrial water treatment systems, i.e, sodium hypochlorite, sodium bisulfate, aluminum sulfate, ammonium sulfate, acids, sodium hydroxide, non-oxidizing biocides, scale and corrosion inhibitors. 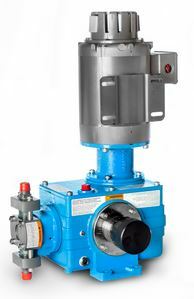 MASTRRR Company manufacturers a variety of chemical induction ultra highrate flash mixers eliminating the need for water supplies, boosterpumps, ejectors, diffusers, mechanical mixers, and static mixers. Submersible series and flanged inline series are designed to induct and flash mix gas and or liquid chemicals with superior velocity gradient mixing intensity into open channels, basins, tanks or pipelines. 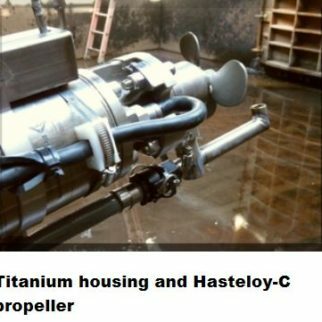 Applications include chlorination, dechlorination, highrate disinfection for water, wastewater, and CSO basin applications, coagulant flash mixing and many more single or dual feed applications. 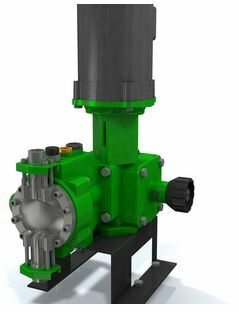 UGSI Encore 700 diaphragm metering pump combines the robustness of hydraulic diaphragm pumps with the simplicity and service-ability of a mechanical pump. 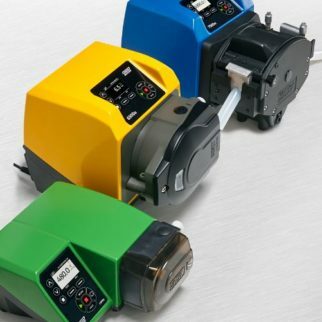 Handles up to 660 GPH up to 175 psi with efficient, reliable and smooth discharge pattern through the use of a variable non-loss-motion eccentric stroke adjustment. Available in direct drive or pulley drive for an additional 4:1 range ability on stroke frequency with a standard induction motor. When the pulley drive arrangement is combined with a DC variable speed motor, total operating turndown can be as high as 800:1. Repeatable metering accuracy is ± 2% of full scale. Valve assemblies can be easily maintained with without disturbing the suction and discharge piping and clear PVC valve housing allows visual indication of operation. JCI Industries Inc. © 2019. All Rights Reserved.